It’s important that you feel comfortable, confident and at ease during your childbirth experience, and that you have the information you need each step of the way. Read on for three truths about childbirth. Truth 1: Having a baby is a normal, natural, healthy event. Pregnancy and childbirth are perfectly designed by nature and are safer now than ever before. This is not because doctors and hospitals manage them, but because modern hygiene and general health have improved. If a healthy pregnant person allows nature to take its course, their baby and their body are well protected. Only a small percentage begin pregnancy with health problems (such as diabetes) or develop problems during pregnancy or birth (such as high blood pressure). These circumstance may call for medical interventions—such as medications, inductions and cesarean delivery— which help make pregnancy and birth safer. Truth 2: For most, giving birth at home or in a birth center with a midwife is as safe as—or safer than—at a hospital. You may hear that you should see a doctor for prenatal care and give birth in a hospital to ensure that you and your baby are safe. In reality, for a healthy laboring parent and baby, medical interventions are more likely to cause a problem than keep birth safe. For example, many doctors and nurses believe that continuously monitoring the baby's heartbeat in labor makes labor safer for babies, so they use it routinely. However, decades of research show that this practice does not reduce the number of babies who have problems or die. It does, however, lead to more cesarean births. Continuous electronic fetal monitoring makes birth riskier with no benefit to babies. The medical approach of expecting problems, combined with restrictive hospital policies, can make it more challenging to give birth in a typical hospital. Midwives are experts in natural, safe and healthy pregnancy and birth. They are trained to recognize problems, refer to a physician if medically necessary and handle emergencies or transfers as needed. Midwives generally practice based on evidence that shows birth usually happens best without interference. In countries where midwives provide primary care for healthy pregnancies, fewer mothers and babies die or experience problems than in the United States. Truth 3: There are many ways to find comfort in labor without drugs, and this search for comfort helps move labor along. Pain serves an important purpose in labor: To help facilitate better labors. Pain compels you to actively seek comfort. When allowed and encouraged, you will naturally move, moan, sway, change your breathing patterns and rock to cope with contractions, eventually finding the right rhythm for your unique needs. Such active comfort seeking helps the baby move down the birth canal and keeps labor going. As contractions get stronger, the body releases endorphins—nature's narcotic—to ease pain. Comfort methods like activity and rest, eating and drinking, showering and bathing, receiving continuous emotional and physical support, massage, relaxation and applying heat and cold are more available to those who give birth outside of a hospital setting and/or are attended by midwives. In hospital births, where you are often unable to move freely and use natural comfort measures during labor, it's no surprise that most people choose an epidural! This article was adapted from Giving Birth with Confidence. 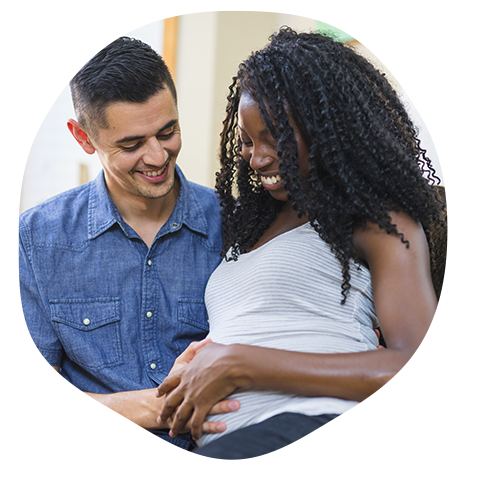 Read this valuable resource for more information on choosing a caregiver and birth site as well as preparing for labor, birth and early parenting.